The ballad “Vus tisti du sheyn meydele?” (“What are You Doing Here Pretty Girl?”) performed in this field recording of Beyle Schaechter-Gottesman (my mother) is another Yiddish variant of the international ballad known generically as “Impossible Tasks.” See the previous Yiddish Song of the Week posting for another Impossible Tasks ballad sung by Josh Waletzky. 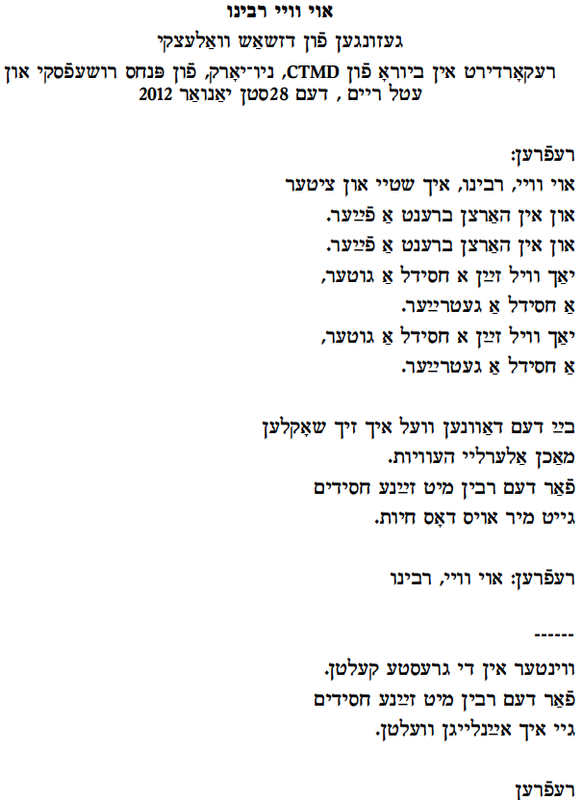 Schaechter-Gottesman learned this version in Chernovitz before the second World War from her friend Moyshe (Moshe) Barasch (1920 – 2004), who came from a Bessarabian family. Moshe Barasch later became an internationally known art critic and historian in Israel. 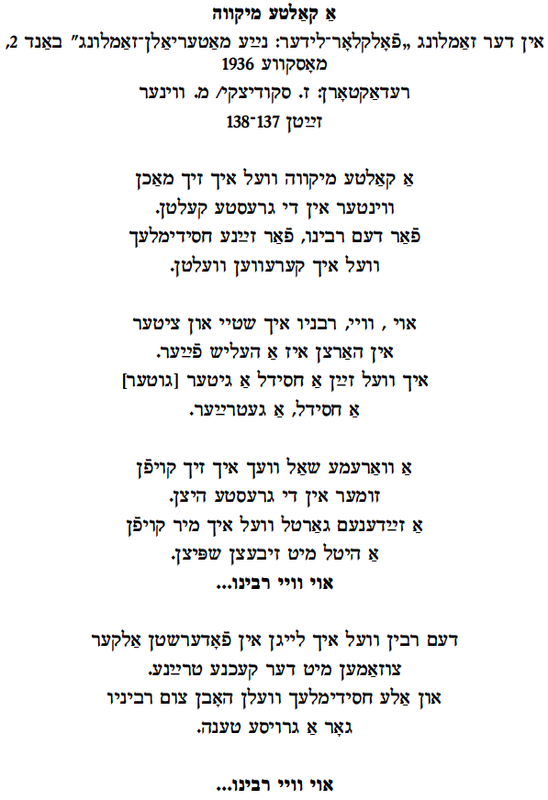 The melody is similar to the song “Hey, di, di / Rik zikh tsi, rik zikh tsi mir /Az du vilst a libe shpiln,/ shpil zhe es mit mir” (still looking for a printed version…). I recorded my mother singing “Vu tisti du sheyn meydele?” at home in the Bronx in March 2011. Vus tisti du sheyn meydele? Vus tisti du baym brinem? “What are you doing pretty girl? do not drive me there. and teach him how to write. a meydl vel ikh blaybn. un tsvekes in un laystn. with no nails, no wood strips. un nodl in un zadn. er zol kenen in himl shtaygn. that will reach up into the sky.